A Fun Criterium! 6th March, $5 entry, $2 for kids. Spot prizes, bouncy castle, sausage sizzle. 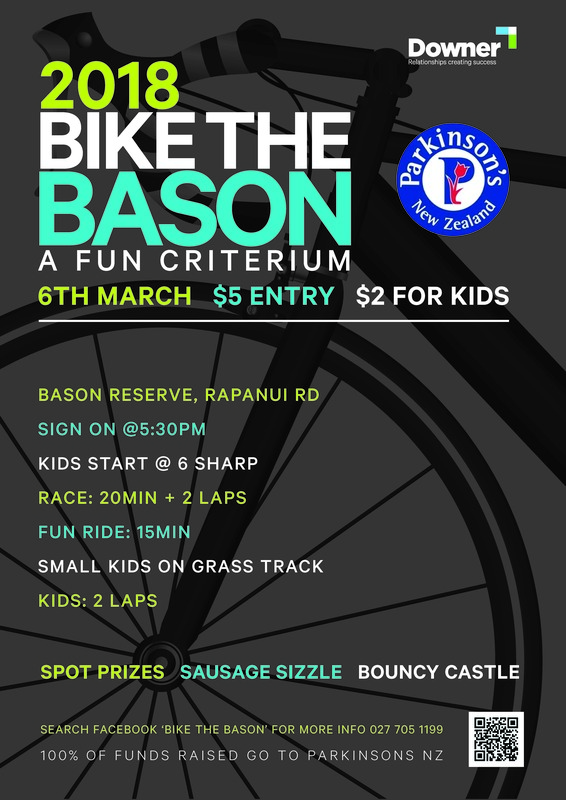 All funds go to Parkinsons NZ.